Camouflage Quite unique: the tail looks like a three-color camouflage in a disruptive pattern (no mottle). The wing appears to be polished or gloss-painted. 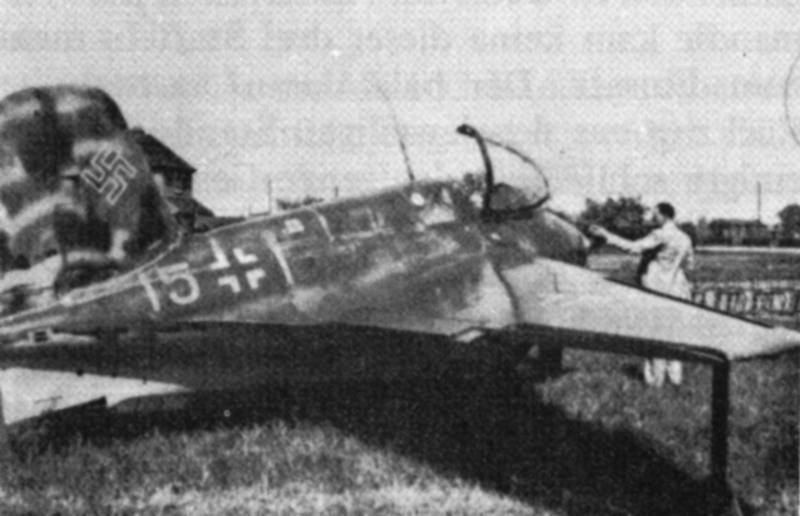 The fuselage appears to be painted in the middle color used on the tail. Remarks Unclear whether the picture is taken in the UK, or in Germany. The man studying the nose looks very civilian, suggesting the former.